When we first arrived in Abu Dhabi we may as well have changed our forwarding address directly to IKEA. We spent A LOT of time there. I had a PB one day and managed to get everything on my shopping list and get to the register to be the very first transaction of the day. Not bad with a toddler in tow! Which just goes to show how well I got to know the layout!! Our house looks a teeny bit like a page straight out of the IKEA summer catalogue, and we're okay with it. We thought we'd get all the big pieces we needed to get by, and then will add accent pieces along the way as we find them. Its been a lot of fun setting up our new house, and with an extremely different aesthetic to our London home I've enjoyed all the lighter tones to reflect our new sunny locale. Among the many IKEA makeovers that have happened, I really love this clock makeover. We were given an amazing clock for our wedding present which is partly a clock but mostly art. One day, when we are living back in Australia/NZ we will finally be able to use it, and so I'm not about to invest a lot of money in a temporary one until then. So I found this very plain white clock at IKEA, and set about making it a wee bit prettier! I initially painted it all gold, but then really liked the idea of having a little spot of colour up on the wall too. With such a simple design, it only took about ten minutes to give the face a new coat of paint. 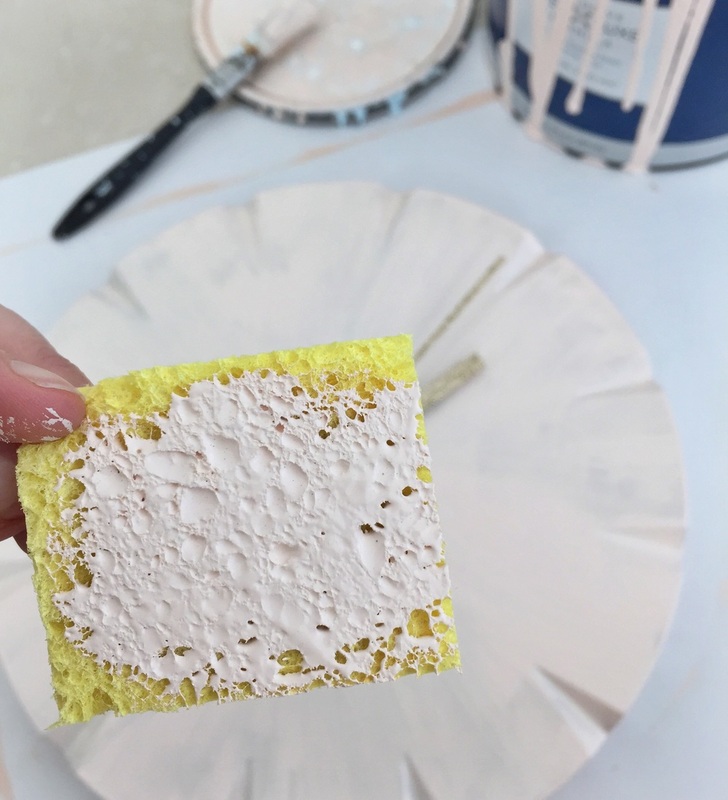 I painted two base coats with a paintbrush and then used a common kitchen sponge (new) to add the final coat to give it a little more texture. You could leave it at that, but I of course needed to add a touch of glitter! With a little Mod Podge applied on each of the hands, I sprinkled the glitter on and allowed it to dry. This easy and cheap makeover adds the finishing touch to one of my absolute favourite corners of our living room. Do you have a favourite IKEA hack to share?